Greg's Text | FREE DEAL: College Students, Faculty & Staff: FREE 6 Month Amazon Student Membership ($39 Value)! FREE DEAL: College Students, Faculty & Staff: FREE 6 Month Amazon Student Membership ($39 Value)! Offer only valid once per email address. Claim this deal for FREE. 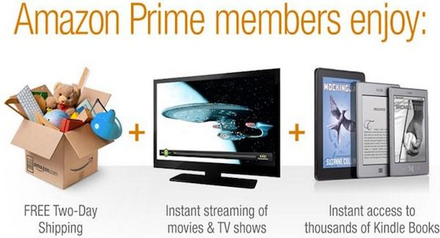 Get a FREE 6 Month Membership to Amazon Student ($39 Value)! With a mission “to be Earth’s most customer-centric company, where customers can find and discover anything they might want to buy online, and endeavors to offer its customers the lowest possible prices,” Amazon.com and other sellers offer millions of unique new, refurbished, and used items in categories such as books; movies; music & games; digital downloads; electronics & computers; home & garden; toys; kids & baby; grocery; apparel; shoes & jewelry; health & beauty; sports & outdoor; and tools, auto & industrial.